Siemens Power and Gas has received an order for four SGT-A35 gas turbine power generation packages and two SGT-A35-driven DATUM CO2 compressor packages for Modec’s Sépia floating production, storage, and offloading vessel. Siemens Power and Gas, including its Dresser-Rand business, received an order for four SGT-A35 gas turbine power generation packages and two SGT-A35-driven DATUM CO2 compressor packages for Modec’s Sépia floating production, storage, and offloading (FPSO) vessel. The vessel, which is named “FPSO Carioca MV30,” will be deployed at the Sépia field operated by Petrobras, located in the giant “pre-salt” region of the Santos Basin approximately 250 km (155 miles) off the cost of Rio de Janeiro, Brazil. In addition, Siemens will provide long-term expert service and maintenance for the supplied components. Modec is responsible to engineer, procure, construct, mobilize, install, and operate the FPSO. The equipment is scheduled for delivery in late 2018. Once operating in 2021, the FPSO is expected to process 180,000 barrels per day (bpd) of crude oil and have a storage capacity of 1,400,000 barrels of crude oil. Siemens will use its global network to manufacture and package an integrated solution for Modec. 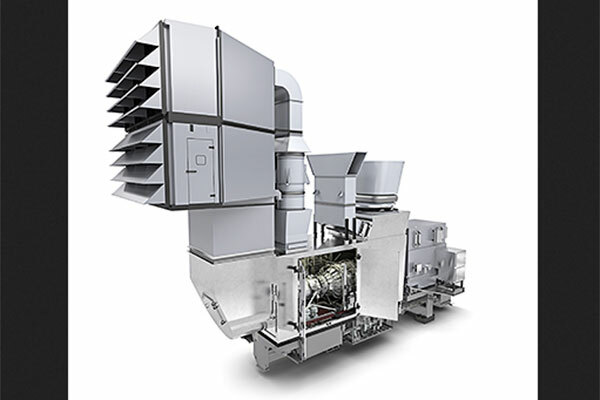 For power generation on the vessel, Siemens will supply four SGT-A35 gas turbine power generation packages. The SGT-A35 aeroderivative gas turbine (formerly the Industrial RB211), coupled with an MT30 2-pole synchronous power turbine from the marine Trent engine, has millions of hours of proven experience. The SGT-A35 RB gas turbine offers leading-class reliability and availability that is so critical to this type of remote installation. In addition, two SGT-A35-driven DATUM compressor trains will reinject CO2 to more than 250 bar (3,626 psi) pressure. With the DATUM compressor’s high-pressure and high-density compression technology, the total footprint can be reduced when compared to a conventional compression and pumping module. This attribute makes the technology uniquely suited for offshore applications such as an FPSO where space and weight are critical factors.